Did you see the video of the douchebag that went on a rant that downgraded the US military and the folks that serve? 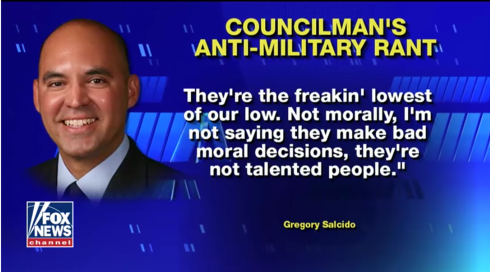 This assclown has the audacity to spout that the soldiers and sailors in the world's finest military are basically dumbasses and that we shouldn't be proud of their service. And this was done by a school teacher and a councilman from, of all places, California. Posted on February 2, 2018 by Christopher J. Gary and filed under Military, Veterans and tagged military. (Lafayette, LA) – Dr. Charles Boustany issued the following statement after media outlets reported that Department of Veterans Affairs (VA) Secretary Robert McDonald compared veterans’ wait times seeking much-needed healthcare to a trip to Disneyland. In Congress, Dr. Charles Boustany has led the charge to increase access to care for Louisiana’s veterans. In 2014, Boustany passed legislation winning authorization for two new veterans’ healthcare clinics in Lafayette and Lake Charles. Additionally, Boustany was a main proponent of the Veterans’ Choice Program created in 2014, which allows veterans to seek care from private healthcare providers in their communities. Boustany has introduced legislation expanding the Veterans’ Choice Program for veterans in communities that are under-served by the VA, like Lafayette and Lake Charles. He has continued to keep pressure on the VA to keep its promise to Louisiana’s veterans and complete clinics in Lafayette and Lake Charles as soon as possible. Posted on May 24, 2016 by Christopher J. Gary and filed under Charles Boustany, Veterans and tagged charles boustany veterans. (Washington, D.C.) – U.S. Senator David Vitter (R-La. ), along with U.S. 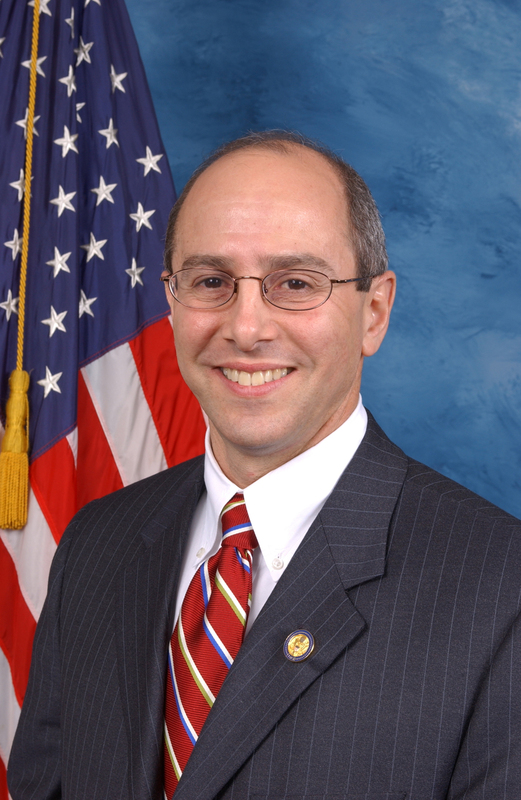 Representatives Charles Boustany, Jr., M.D. (R-La. ), Steve Scalise (R-La. ), John Fleming, M.D. (R-La. ), Cedric Richmond (D-La. ), Ralph Abraham, M.D. (R-La. ), and Garret Graves (R-La. ), sent a letter to Department of Veterans Affairs (VA) Secretary Robert McDonald to express their concerns with the selection of Dr. Skye McDougall to serve as the Network Director for the South Central Veterans Affairs Health Care Network (VISN 16). In the letter, the lawmakers urge VA Secretary McDonald to rescind Dr. McDougall’s appointment in light of her history of lying under oath and refusal to take action regarding the controversial wait times for veterans at VA facilities. Click here to read last week’s letter. Posted on January 27, 2016 by Christopher J. Gary and filed under Veterans and tagged veterans louisiana. Louisiana resident and the oldest living World War II veteran, Frank Levingston, was a guest in Rep. Charles Boustany's office during his recent visit to Washington as part of an Honor Flight from New Orleans. Levingston is a survivor of the Pearl Harbor attack on Dec. 7, 1941 and has recently turned 110. Posted on December 8, 2015 by Christopher J. Gary and filed under Charles Boustany, Louisiana, Veterans and tagged WWII Lake Charles Louisiana charles boustany. In what appears to be something similar to the "welcome home" Vietnam veterans received following the Vietnam War, a wounded warrior and his family vacationing in Panama City Beach was spit on, as well as his service dog, and the American Flag was ripped apart and urinated on by fraternity members from the University of Florida and Emory University. As a result, three members of the Zeta Beta Tau fraternity have been been expelled and the fraternity is on suspension from the University of Florida. The fraternity issued the a statement regarding the incident and the subsequent actions taken by both the frat and the University of Florida. Posted on April 24, 2015 by Christopher J. Gary and filed under Veterans and tagged wounded warriors veterans Florida.